Instagram is one of my favourite social media platforms. I love taking photographs of Little M, and I’ve been working hard to improve my photography skills, while saving hard for a ‘proper’ camera, as all of my images are currently taken using my trusty iPhone. Having said that, I’ve become increasingly frustrated by Instagram’s constant algorithm changes. I’ll assume the best and think it’s because they’re trying to create a better user experience for us all, but to be honest I often find myself hankering for the good old days when posts appeared in time order, most recent first. That way, you could have a good old chin wag with whoever was online at the same time as you. Showing me a post from four days ago (yep, it’s the fifth photo down in my feed as I write this) doesn’t really help with real-time interaction! I am loving Instagram stories though. I even chatted to the camera while walking to the bank on Wednesday. That’s probably the closest to proper vlogging I’ll get, but never say never! I enjoy sharing little snippets of our day that maybe aren’t pretty enough for my main feed, and the little stickers that you can add are fun too (I’m yet to try filters, but give it time!). Anyway, I’ve been thinking a lot about Instagram and how I can see more of what interests me. I’d like to be able to interact with more of my followers, and find new people to follow who share the same interests as me. I want to get to know people who are going through the same parenting trials and tribulations as me, and chat about teething/feeding/sleeping/play/clothing and whatever else is on our minds as parents of small children. 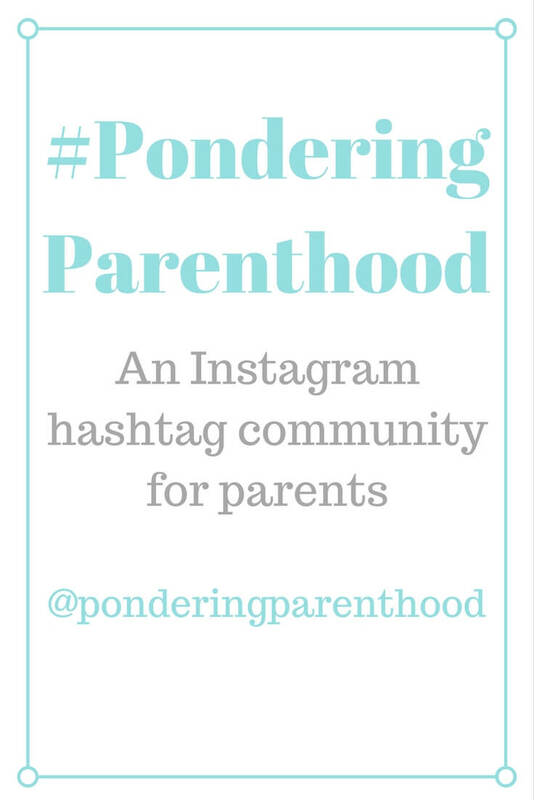 So, I’ve decided to start a new hashtag community, #ponderingparenthood. Your posts can be about anything parenting related, and I’ll do my best to like and comment on as many as I can. I’ll also share my favourite posts in my Instagram stories, so that we can share some love there. I’m looking forward to building a community where we can share our random musings and support and celebrate one another, as parents and friends. I’d love for you to come and join me! "Sandals that feel like slippers…"